Sumrin Satu (photoby Kim Renders, July 15, 2017).Born April 28, 2017. - Satu is the first pony out of her line with 5 generations of Sumrin breeding, 6 generations having been present at Sumrin. 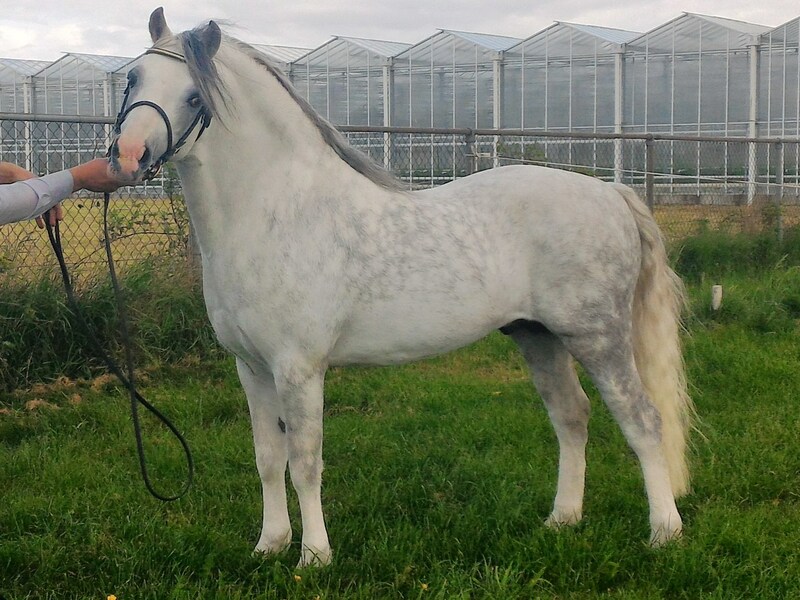 - Satu is the first Sumrin filly by a Sumrin stallion out of a Sumrin mare. We were very happy to find Sumrin Tysilio again after having disappeared for a number of years. - Satu is the first pony with the Sumrin prefix to be born in Limburg. -Satu is the first foal line bred back to Sumrin Taru, one of the most succesful mares we have bred in our history. The name Satu means "fairytale"in Finnish and is a synonym to Taru. As Sumrin Taru passed away in January 2017, we hope she will get the quality of her illustrious ancestor. One funny coincidence: The longest placename in Europe is a town by the name of Llanfairpwllgwyngyllgogerychwyrndrobwllllantysiliogogogoch, which translates into English as "Saint Mary's Church in the hollow of the white hazel near a rapid whirlpool and the Church of St. Tysilio of the red cave". Hence, once more Tysilio and Saint Mary come together. 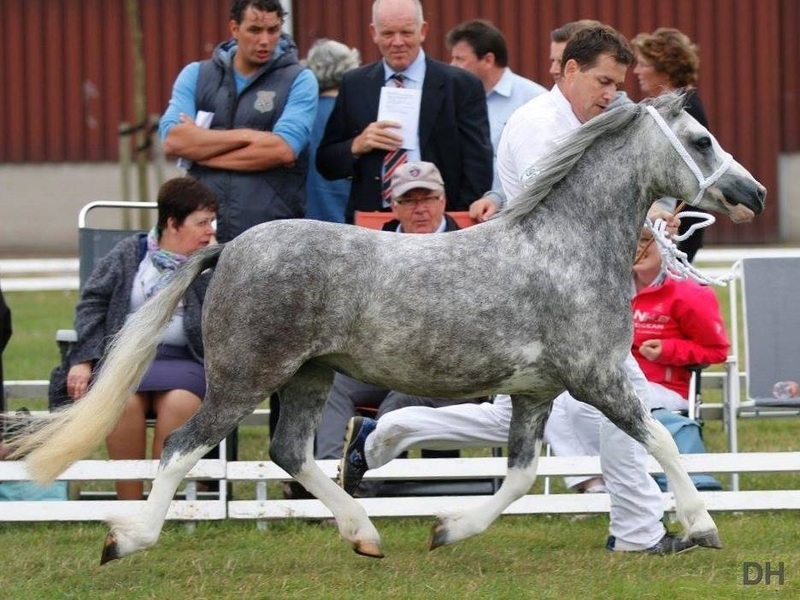 Sumrin Satu was sold to a very good home in Germany.